Henry Crown, the Chicago magnate who created General Dynamics, was legendary for ethical and successful business practices. His family partnered with the Aspen Institute to help shepherd a class of accomplished leaders towards work that would address a world problem. We read great thinkers, discuss, and learn. We meet four times over two years and bond as a group of twenty to support each other throughout the next phase of our careers. I've never been a room with such accomplished people from such diverse fields. I was lucky to be chosen. I've been trading time, advice, or investment for a front row seat at various learning organizations. Everwise, founded by former Ebay COO Maynard Webb and my friend Mike, is scaling a software platform and service for mentoring. The Center for Curriculum Redesign is helping governments, schools and companies define what knowledge, skills, and character traits to teach. I'm learning about teaching as a CEO coach at The Lloyd Group. I'm a founding partner of a start-up accelerator in the Balearic Islands called Menorca Millennials. Also: are simulator builders Realityworks, serious game studio BackCODE, Spain-based accelerated learning program for coding, culture measurement software Culture IQ, and talent search engine Candidate Guru. This isn't everyone, and the list is evolving. WIBO puts my belief in the power of learning in business into action, helping the most underserved communities. I've been on the Board of this old New York institution since 2008. I served as Chairman for three years. We have expanded nationally and now internationally, established special programs for the formerly incarcerated and veterans, and are combining with www.ifel.org to offer a broader lifecycle of support for our entrepreneurs. When M5 crossed the $1 million revenue mark in 2003 I joined EO. 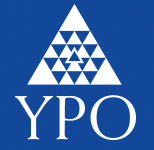 When we beat $10 million in 2006, I joined YPO. These non-profits are the world's leading networks of entrepreneurs, with over 30,000 global CEOs as members. They are both dedicated to growing leaders through learning. To help give back to a group that has given me so much, I've helped start an EO chapter dedicated to the exploding, innovative, business community in Brooklyn, which is now thriving. I'm currently a member of both group's chapters in Barcelona. Click for EO overview doc. Exciting to see my favorite program live on! Marcelo is one of the top all-time athletes in this fast-growing sport, and it is a privilege and joy to study at his academy. Josh Waitzkin, Marcelo's partner, worked with me to create the M5 Jiu-Jitsu program. We created a curriculum that connected martial arts to business, and I got hooked on the sport.